FAQ — Canvasback Missions, Inc.
Q: Which islands does Canvasback work in? A: From 1986 to 1991, Canvasback worked in The Republic of the Marshall Islands (RMI), helping to make their outer island dispensary system self-sufficient. In 1992, the mission opened a larger, more comprehensive work in the Federated States of Micronesia. These island states include Pohnpei, Kosrae, Chuuk, and Yap. Most of our work is in the Marshall Islands, where we provide fly-in specialty medical teams, and are developing and implementing a diabetes reversal program on the capital of the RMI, Majuro, at the request of President Amata Kabua and Minister of Health, Tom Kijiner. While we work primarily in these islands, our dedication to a healthier world occasionally leads us to take specialty medical teams to other countries, upon request. Q: Why did Canvasback choose the Micronesian islands to work in? A: Canvasback has a positive relationship with several countries in Micronesia, based on the quality of our work and past experience. After the Ministry of Health in each nation assesses their needs, they send us a request for the teams they would like. In short, we work in Micronesia because we are invited by the people. Our initial interest in the region was sparked by founders Jamie and Jacque Spence's time spent sailing the Pacific. Over the course of seven years, they began to see the needs of the world firsthand. The people they met treated them like family and helped them to realize the importance of the words they were reading in scripture–words that call us all children of God. As a United States based organization, we are especially interested in Micronesia because the U.S. flag still flew there when we began our work. The United States and Micronesia have an interesting relationship, one that has been both highly beneficial and detrimental. We're working to bring back wholeness. Q: What role does religious faith play in Canvasback's work? A: We are proud to be an organization founded and based on the principles of Christ. We long to see the Kingdom of God and, therefore, strive to bring a bit of it into existence. As Jesus healed, we work to bring healing. As Jesus loved, we try to love. We feel that the many success we have been a part of have been a result of taking those principles seriously. We take volunteers of all denominations, as well as folks from various religions or of no religion at all. Whatever your beliefs, we feel that when you work to care for the people around you, you are taking part in God's work. Q: What does Canvasback believe about sustainability/what is Canvasback's sustainability plan? A: One of our strongest beliefs is that, when possible, change should come from within a community. We make donations go as far as possible by having medical teams volunteer their services. We never charge patients for exams, surgeries, or medicines. We only provide specialty medical care that is unavailable, which means we do not take jobs away from local healthcare workers. In addition, our surgery teams often train local doctors, giving them the experience necessary to improve the overall healthcare of Micronesia. The Wellness Center is mainly run by local Marshallese, who work as chefs, gardeners, and fitness directors. Our grow boxes are designed to give diabetes intervention participants the tools to grow their own healthy food, so they are independent from both the Wellness Center's demonstration kitchen and expensive imported produce. Canvasback believes it is important to be conscious of dependency systems, and actively works to avoid creating one. 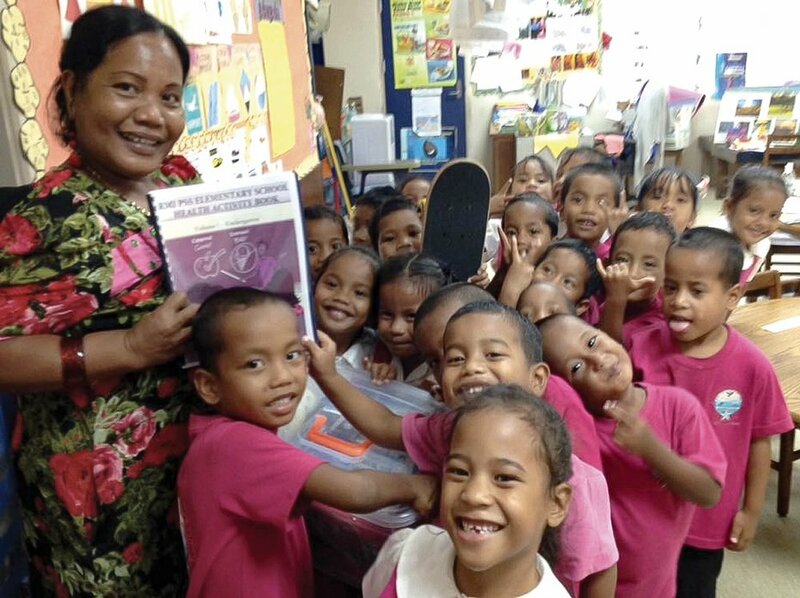 Our most recent project introduces a food education curriculum into public schools in the Marshall Islands. Once implemented, teachers will educate students in eating healthy, which will reach more children and will prevent health problems before they start. Q: How is Canvasback funded? A: Canvasback Missions is funded primarily by donations from individuals and businesses. We make this money go farther by using it along with grants from the U.S. and Marshallese governments, and from non-governmental institutions such as the World Diabetes Foundation. In addition, Canvasback is funded by donations of vehicles, land, other material property, and estates. A: Canvasback depends on generous donations. One way to help is to give donations of cash or property. You can do that on our donation page. If you have professional skills in anything from medicine to construction, or if you simply have the desire to help, please fill out our volunteer interest form and we'll get in touch with you. You can also help us to recruit others to join in our cause by becoming a part of our Advocate program. Jamie Spence, President of Canvasback, invites you to join the Prayer Warriors. Click the button below to join the Prayer Warriors if you would like to be part of a community that prays for members' concerns and requests, and celebrates answered prayers. You can help Canvasback by keeping informed: sign up for our infrequent, short, uplifting eNews (click the button below), or read our quarterly OnBoard magazine. If you'd like to keep us informed or sign up to receive updates from us, you can leave questions or comments here. Canvasback Missions, Inc. is a 501(c)3 nonprofit organization founded in 1981 to serve remote Pacific islands with needed health care and health education. Through partnership between volunteer professionals and island communities, we bring health and wholeness to Micronesia through diabetes reversal, specialty healthcare, and health education. That all people deserve a high quality of life through access to healthcare and health education. We address this by providing free and otherwise unavailable specialty healthcare in the Micronesian islands through surgeries and diabetes treatment programs, which provide resources and supplement existing healthcare systems. Volunteer dentists, surgeons, nurses, audiologists, optometrists, photographers, videographers, and any and all other willing hands are needed for our clinics. Keep checking our Volunteer page for up-to-date trip details. If you have any questions, feel free to contact us. We couldn't do our life-changing work without your help! Make a monthly or one-time donation online on our Donate page. You can also contact us about donating land, vehicles, or trusts.